The united dioceses of Dublin and Glendalough are celebrating the 800th anniversary of a papal bull granted to Archbishop Henry de Loundres uniting the two dioceses in perpetuity. Archbishop Henry was on his way back to Ireland from the Fourth Lateran Council in Rome when he received this decree. 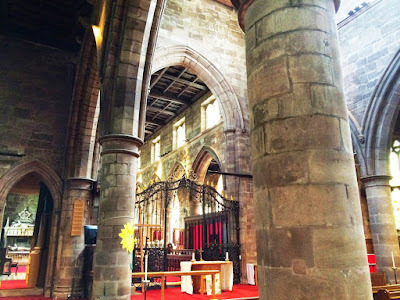 But recently, I visited the Collegiate Church of Saint Michael and All Angels in Penkridge in Staffordshire, where the Archbishops of Dublin were Deans of Penkridge from the same period in the early 13th century. Like many parish churches, the church in Penkridge displays a framed list of incumbents, and at least two dozen of these are Archbishops of Dublin. Penkridge was outside the normal jurisdictions of the Diocese of Dublin, and it is barely mentioned in Archbishop John Allen’s Liber Niger. 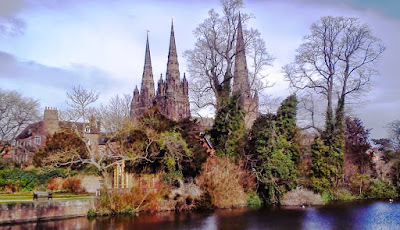 But as a Royal Free Chapel, Penkridge also remained outside the diocesan structures of the Church of England, and was one of a handful of royal free churches or peculiars that were ecclesiastical islands within yet outside the Diocese of Lichfield. 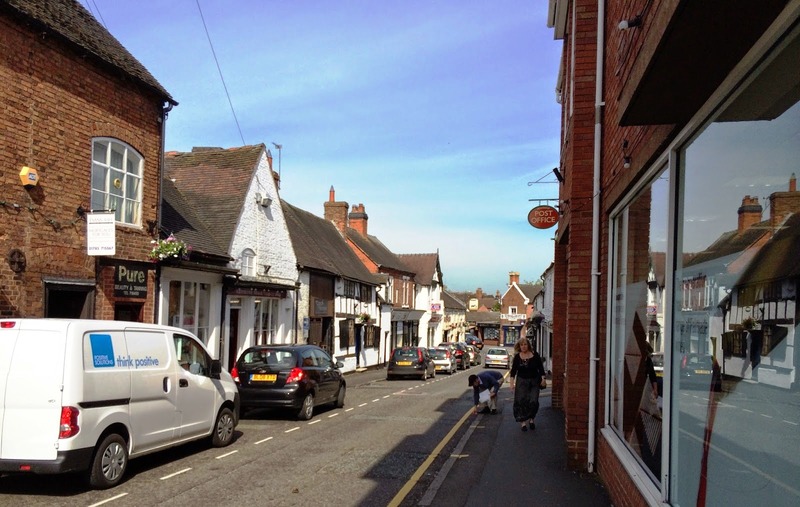 Penkridge is a small market town with a population of 8,526, halfway between Stafford and Wolverhampton, and about 20 km west of Lichfield. The old Roman road, Watling Street, crosses the parish. Penkridge station is on Britain’s most important intercity rail route, linking London, Birmingham, Manchester, Liverpool, Glasgow and Edinburgh. The Collegiate Church of Saint Michael and All Angels dominates the skyline of Penkridge. The Deanery was once extremely wealthy, providing significant income for successive Archbishops of Dublin. The buildings around the church once included an infirmary for the sick and elderly, a guest house, a college that housed the priests, a chapter house and a refectory. According to the Liber Niger, the Royal Free Chapel of Saint Michael and All Angels in Penkridge was founded by either King Eadred of Mercia (946-955), or his nephew, King Edgar (957-975). The Domesday Book shows a community at Penkridge in 1086, including nine clerks or priests supported by land owned by the crown. The majority of royal free chapels in England were in the West Midlands, especially within the boundaries of the Diocese of Lichfield. Many had their origins in the churches of the ancient demesnes of the Saxon kings, but they are first mentioned in 1214, when Pope Innocent III guaranteed the immunity of King John and his royal chapels. Penkridge was a Royal Free Chapel with its own dean in 1215. Three months after Magna Carta was signed that year, King John appointed Henry de Loundres, Archbishop of Dublin (1212-1228), and his successors as Dean of Penkridge, and granted them the Manor of Penkridge. 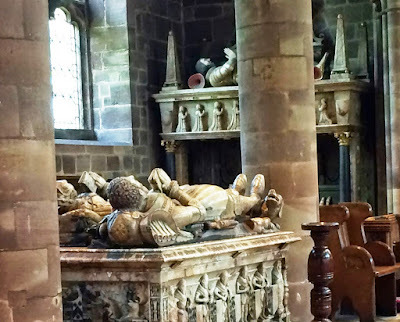 Archbishop Henry was Dean of Saint Mary’s Collegiate Church (1203-1226), a royal peculiar in Shrewsbury, and until 1212 he was Archdeacon of Stafford. He had looked after the king’s interests at the Fourth Lateran Council. As Archbishop of Dublin he served as Justiciar of Ireland or Lord Chief Justice twice, and he was instrumental in building Saint Patrick’s Cathedral. The archbishop soon divided the Manor of Penkridge, giving two-thirds to his nephew, Andrew le Blund, and keeping the rest as the Deanery Manor. When the deanery became vacant in 1226, he appointed himself Dean of Penkridge, left Dublin and moved to live in the Deanery in Penkridge. 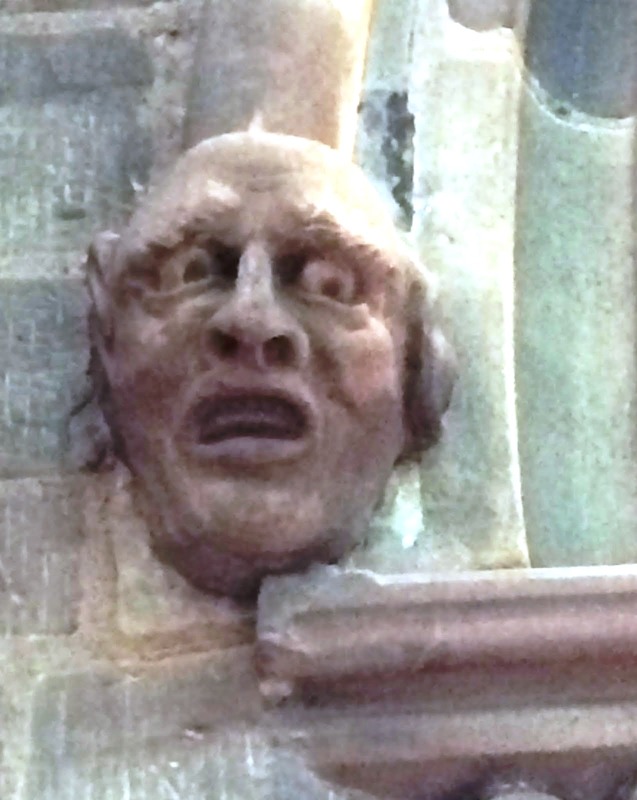 He remained there until 1228, demolished the Old Saxon minster and began building a great new collegiate church. When Archbishop Henry died, he was succeeded in 1229 by Archbishop Luke, a former chaplain to the Bishop of Lichfield who also became Dean of Penkridge. However, the king continued to hold the right to appoint the canons of Penkridge whenever the See of Dublin was vacant. In 1253, Henry III granted this right to William de Kilkenny, Archdeacon of Coventry, then in the Diocese of Lichfield. He had been Bishop of Ossory (1231-1232), and later became Bishop of Ely (1254-1256). In 1257, Archbishop Fulk de Sanford of Dublin obtained a Papal Bull confirming his rights in Penkridge and petitioned the Pope to make the union of the deanery and the archbishopric complete and absolute. Another Papal Bull in 1259 confirmed that in future no one should be appointed dean except the Archbishop of Dublin and his successors. The offices of Archbishop of Dublin and Dean of Penkridge were united in perpetuity, and this union continued until at least the Reformation. However, the church retained its status as a Royal Free Chapel. The crown continued to appoint the canons when the archbishopric was vacant, and the parishioners were instructed not to allow the Bishop of Lichfield, his officials, or the Archdeacon of Stafford to enter Penkridge. 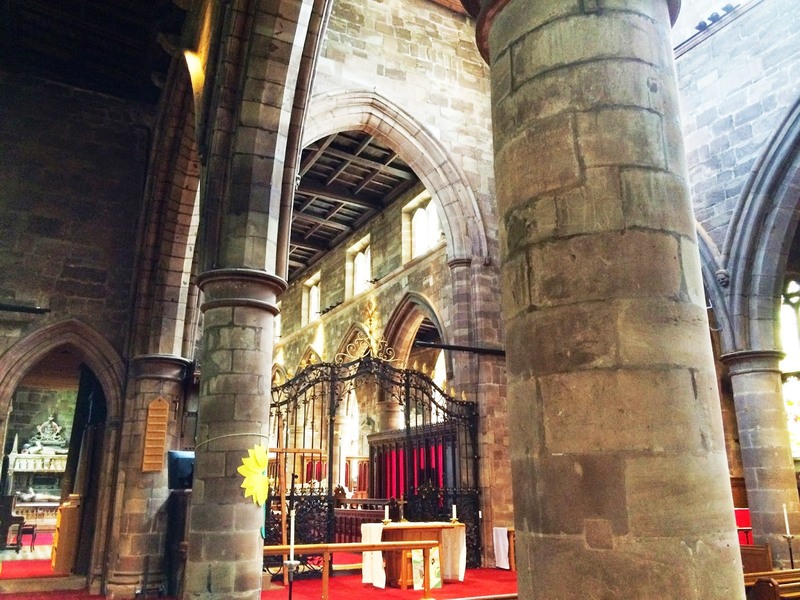 In 1280, John Peckham, Archbishop of Canterbury, visited the Diocese of Lichfield as metropolitan. But he was refused rights to visit Penkridge by the Archbishop of Dublin, John de Drelington, (1279-1283), as Dean of Penkridge. A petulant Peckham excommunicated Penkridge and the other royal free chapels within the boundaries of the Diocese of Lichfield. He was careful to exclude the Archbishop of Dublin, and eventually dropped his claims. In 1281, Penkridge was one of the seven royal free chapels that the Bishop of Lichfield recognised were exempt from his jurisdiction and directly subject to the king. But the Archbishops of Dublin seldom visited Penkridge, and the dean’s peculiar jurisdiction was often exercised by officials known as the ‘vicegerent’ or the commissary. A mediaeval law required able-bodied men to practice archery in churchyards on Sundays. 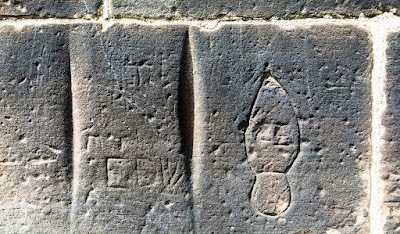 The grooves in many of the stones of Penkridge church were scratched by archers sharpening arrowheads. 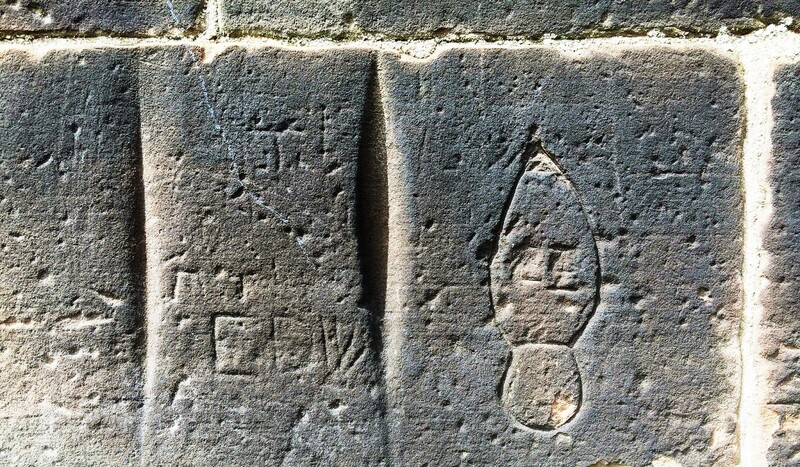 The graffiti on the walls includes the names of some of these archers, and in one place there appears to be a mitre – is this a reference to the Archbishops of Dublin as Deans of Penkridge? In 1530, a commission appointed by Henry VIII found that the Dean of the Collegiate Church of Penkridge was the Archbishop of Dublin, John Allen (1530-1534). His clergy at Penkridge included a sub-dean, seven prebendaries, two resident canons, six vicars, one high deacon, one sub-deacon and a sacrist. In addition, the people of Penkridge employed their own ‘Morrow Mass’ priest to say daily Mass for the parishioners. Because Penkridge was not a monastic foundation, it survived the dissolution of the monasteries at the Reformation. But while George Browne was still Archbishop of Dublin and Dean of Penkridge (1536-1554), the church lost its collegiate status under the Chantries Act of 1547. By then, Browne had leased much of the property in Penkridge, mainly to Edward Littleton of Pillaton. In 1548, these estates were granted by the crown to John Dudley (1504-1553), Earl of Warwick (later Duke of Northumberland). Dudley’s lands were forfeited to the crown in 1553, but the leases were still held by Edward Littleton, and at his death in 1558 the College House passed to his son, Sir Edward Littleton. The Littleton family of Pillaton Hall continued to consolidate their interests in Penkridge. The college and its possessions remained in their hands for generations, and the clergy they appointed remained outside the jurisdiction of the Bishops of Lichfield for almost 300 years. However, the peculiar jurisdiction of the college of Penkridge was not abolished in the Reformation legislation, and the church, which was the centre of a large parish, was not absorbed into the Diocese of Lichfield. The lord of the manor assumed the role of chief official of the peculiar jurisdiction. After 1585, this was the head of the Littleton family, while the Archbishops of Dublin continued to claim the right of visitation. Soon after his consecration, James Margetson, Archbishop of Dublin (1661-1663), carried out a visitation in Penkridge. Narcissus Marsh, Archbishop of Dublin (1694-1702) and founder of Marsh’s Library, allowed William Lloyd, Bishop of Lichfield (1692-1699), to visit Penkridge – but only if he visited in the name of the Archbishop of Dublin. 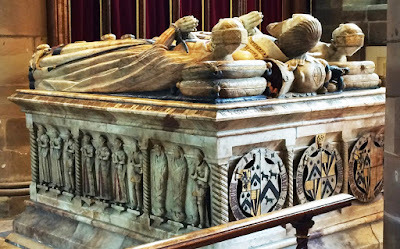 There are so many monuments to the Littleton family inside Penkridge Church that at times it seems like a Littleton mausoleum. When Sir Edward Littleton, 4th baronet, died in in 1812, his Penkridge estates passed to his great-nephew, Edward Walhouse, who took the name Littleton. He was MP for Staffordshire, campaigned for Catholic Emancipation and in 1833 was appointed Chief Secretary for Ireland. Littleton resigned when he found he could not keep promises he made to Daniel O’Connell. His wife was a niece of the Duke of Wellington, and he was given the title of Lord Hatherton. The Littleton family continued to appoint the incumbents of Penkridge to the Royal Peculiar until 1858, when the peculiar was abolished and a separate parish was formed in Penkridge. The Lichfield Diocesan Registry shows that the last official of the Deanery, the Revd James Alexander Fell (1825-1897), continued to exercise the jurisdiction after 1858. 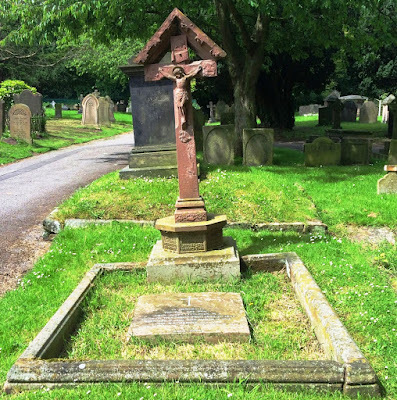 The last time an Archbishop of Dublin visited Penkridge was in July 1934 – John Gregg (1873-1961) was Archbishop of Dublin from 1920 until he was transferred to Armagh in 1939. However, he made no attempt to recover the ancient rights of the Archbishops of Dublin as Deans of Penkridge. The patronage of the living remained in the Littleton family until 1990, when it was transferred to the Lichfield Diocesan Board of Patronage. Apart from the Church of Saint Michael and All Angels, the oldest surviving buildings in Penkridge include the Old Deanery, the Church Farm and the Church Cottages. 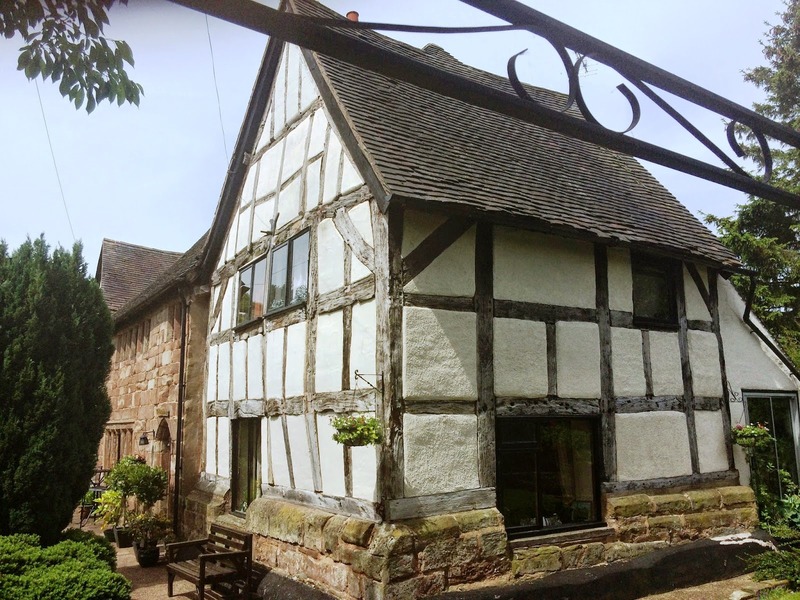 Many timber-framed houses in Penkridge date from the 16th and early 17th centuries. The White Hart Inn, a three-storeyed timber-framed building on the High Street, was originally built in 1565 on the site of a manor house owned by the Dudleys, Earls of Warwick. Both Mary Queen of Scots and Queen Elizabeth I stayed there as they travelled through Penkridge. The Littleton Arms, on the corner of Saint Michael’s Square and Church Lane, was a coaching inn from the 17th century, and was rebuilt in the 19th century. 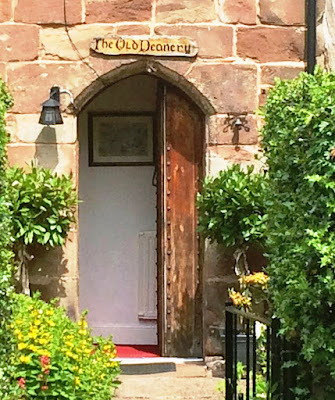 Local lore, recalled by a former landlord, says it was used in the Middle Ages as a courthouse by the Deans of Penkridge and that tunnels from the basement lead to the church. Another local story says that when the Deanery of Penkridge was granted to Henry de Loundres there was a proviso that none of the deans or canons of Penkridge should be an Irishman and that the Deanery of Penkridge belonged to the Archbishop of Dublin if the archbishop were an Englishman speaking the English language. However, historians have not found any substance to support this legend. Canon Patrick Comerford lectures in the Church of Ireland Theological Institute. This feature was first published in the Church Review (Dublin and Glendalough) and the Diocesan Magazine (Cashel, Ferns and Ossory) in December 2016. Today is the Second Sunday of Advent [4 December 2016]. This morning, we light the second candle on the Advent Wreath, which represents the Prophets. that they may find new strength and hope in you. Advent began last Sunday [27 November 2016], and throughout this time of preparation for Christ’s coming at Christmas, I am praying each morning and using for my reflections the prayer diary of the Anglican mission agency, USPG (United Society Partners in the Gospel). ‘This is the distressing story of a girl aged 12. We will call her Kavita to protect her identity. ‘Kavita’s father was a labourer and alcoholic. Every day he would fight with his neighbours. ‘Then a man from the neighbourhood, Ganga [not his real name], abducted Kavita, took her to a secluded place, and abused her before fleeing the scene, leaving Kavita unconscious. ‘The next morning, Kavita was found by some passers-by who reported the matter to the DBS Women’s Helpline. Our workers took Kavita to hospital, where a medical examination revealed the full brutality of the abuse she had suffered. ‘Helpline staff immediately phoned the police – who are not always responsive – and applied pressure so they would arrest Ganga. This happened and the man was sent to prison. we bring before you all who are unwell today. and bless all those who love and care for them. Isaiah 11: 1-10; Psalm 72: 1-7, 18-19; Romans 15: 4-13; Matthew 3: 1-12.